Nickelodeon today announced its respective merit wins “Best Property” award for PAW Patrol and “Best Young Property in Asia” award for Shimmer & Shine at the recently concluded Asian Licensing Awards, held in Hong Kong last night, in conjunction with the Hong Kong International Licensing Show this week. Already in its fifth season globally, PAW Patrol, produced by Spin Master Entertainment, shined in the Year of the Dog across Asia Pacific last year, supported by many PAW Patrol retail promotions, mall shows and events with licensee partners, including its second PAW Patrol live show, which toured across China, Australia, New Zealand and Singapore. Shimmer & Shine debuted many new categories at retail and brand new mall events across Southeast Asia in 2018. “We are honored to be the only one to take home two merit wins for international IPs this year. 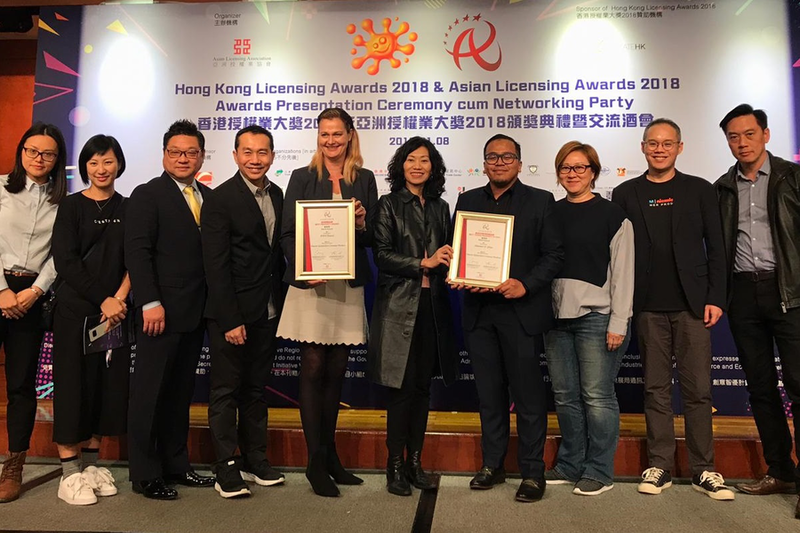 Not only do the wins demonstrate how we are on fire with our pre-school properties, but we really appreciate the recognition by the licensing industry in Asia. PAW Patrol is evidently our largest pre-school hit and truly there isn’t a hotter property in the world right now. We are committed to building both PAW Patrol and Shimmer & Shine franchises with the tremendous on-going support from our licensee and retail partners,” said Claire O’Connor, Vice President, Viacom/Nickelodeon Consumer Products, Asia Pacific. Since the inauguration of the Asian Licensing Awards in 2012, Nickelodeon has taken home wins annually. Organized by the Asian Licensing Association, the Asian Licensing Awards recognizes the outstanding achievements of licensed properties, licensing companies, licensing agents, advertising and promotional firms for their development, launch and promotion of licensed properties and trademarks throughout Asia for the preceding year. The Asian Licensing Awards celebrate excellence, innovation and creativity across the licensing spectrum.